You might remember a couple of months ago we reviewed the Rotor Riot. It's a wired controller for iPhone or iPad, and while we did like what we saw, there were a few issues that kept it from greatness. One of those was the simple fact that you couldn't play Fortnite on it, if we're absolutely honest. That's all changed now though - the latest patch has brought controller support to the game, and the Rotor Riot is now fully compatible with one of the world's biggest multiplayer game. Think of it this way - you can now take on players using touchscreen from the comfort of your own joysticks. Those joysticks could well be the key to your success in Fortnite too, because the Rotor Riot is one of the few controllers that actually has clickable L3 and R3 buttons. If that doesn't give you an edge over the competition then we think it's fair to say that you're unlikely to become a Fortnite champion any time soon. The Rotor Riot still has some problems, namely that it drains your battery something fierce, and uses the Lightning port so you can't charge and play at the same time. It's a pretty big niggle, but at the same time the controller will only set you back $49.99, which isn't too shabby at all. Like we said in our review, more games being compatible with the device is a good thing, but unless you also like to pilot drones, it's still pretty difficult to wholeheartedly recommend the Rotor Riot. 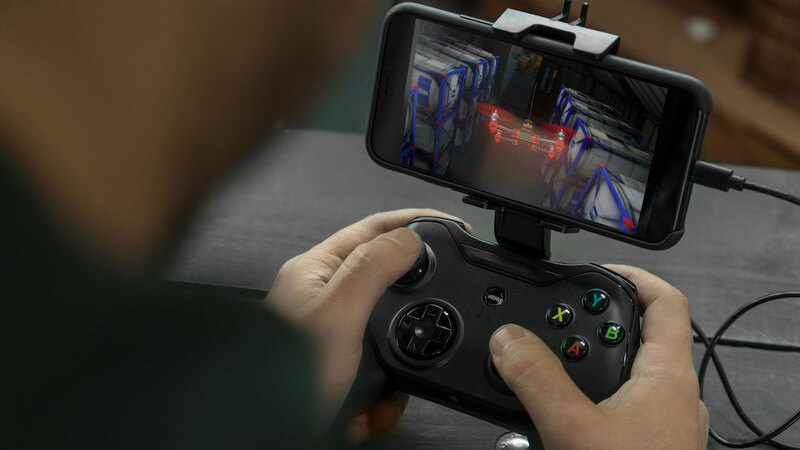 Don't chuck it in the bin if you get one, mind, because in a lot of ways it's the best controller for your iPhone (you can get a USB-C version that works on Android phones as well, if that's the sort of thing you're into). If you're ever on the hunt for more information about Fortnite, do make sure you check out our hub for the game, which you can do by clicking right here. If you're interested in buying a Rotor Riot controller, then smash a click here for some more info from the device's official site.